With 70% of consumers consulting social media before making a buying decision, businesses have long recognized that partnerships with social media influencers are an effective means of marketing. When it comes to social influencing, to be considered a celebrity, one requires more than 1 million followers. It is this kind of influencer that businesses have traditionally targeted for their marketing needs. However, it has become apparent that the quality of followers is more important than the quantity. The reason is simple: consumers find it hard to relate to celebrities with millions of followers and don’t trust their recommendations. 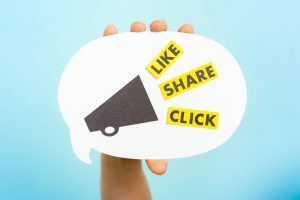 Micro influencers, with under 100,000 followers, have much stronger connections with their followers. They can interact more easily with their followers and their followers trust them more, increasing their quality. With micro influencers having much more engagement with their followers compared to celebrity influencers, and 82% of consumers saying they are likely to follow the recommendation of a micro influencer, expect to see more businesses reaching out to micro influencers in 2018. Artificial intelligence is set to continue its rise in 2018. Businesses are using AI tools to analyze consumer behavior to make their marketing more effective and target the correct consumer more quickly. As AI can be programmed to take over some basic human tasks, expect to see more chatbots online having simple conversations with consumers. This will allow marketing teams to concentrate on tasks that actually require human insight. AI will also make big data accessible to more businesses. The use of big data to predict consumer behavior has been a trend for many years now, but only among the major players. Today, there are over 6 million developers working on big data projects and they are using machine learning and AI to make it more accessible to small and medium-sized businesses. Businesses that ignore this opportunity may find it hard to compete in the coming year. Social media platforms paved the way for live video streaming, allowing users to transmit live video to their friends. Recently, businesses have been using live video to interact with their customers. This trend is certain to continue into 2018 as studies suggest that 80% of consumers prefer watching live video from a brand over reading literature. Streaming, and video in general, allows businesses to entertain consumers and catch their attention at the same time. A marketing team can also interact with consumers directly and get feedback in real time. Live streaming is set to become a priority for successful marketing in 2018. To best implement these tips into your 2018 marketing efforts, it’s important to have a marketing team that not only is aware of its target audience in your home country, but also aware of the changes and tweaks that are needed to effectively target different markets around the world. In these cases, it’s beneficial to create original marketing content with native speakers. At CSOFT, we have a team of native speakers who create content correctly the first time around, so your marketing efforts don’t go to waste or get lost in translation.